Are you in need of a go-to breakfast spot that doesn’t consist of the same green eggs and ham diet at your dorm? As a senior-to-be, I can let you in on a couple of tasty, satisfying, and my most favorite breakfast places in Madison! Mickie’s Dairy Bar. Good heavens. This place is not only delicious, but it has stuffed my stomach to the brim for 9 hours. I repeat, 9 HOURS! I had breakfast around 9 A.M. and my next meal was dinner at 6 P.M. Their fluffy, yet heavy, pancakes are as big as the plate. Their scrambler comes with potatoes, eggs, and cheese. We are in Wisconsin..of course it’s topped with cheese! Sunroom Café. Sunroom (for short) is located on State Street and makes the BEST omelet in the city. I typically get the Turkey Avocado that has bursts of flavor inside of it (onions, bell peppers, cheese, turkey, avocado). Before you start your pre-game, game-day festivities on Saturday’s, consider fueling up at Sunroom! La-Brioche. 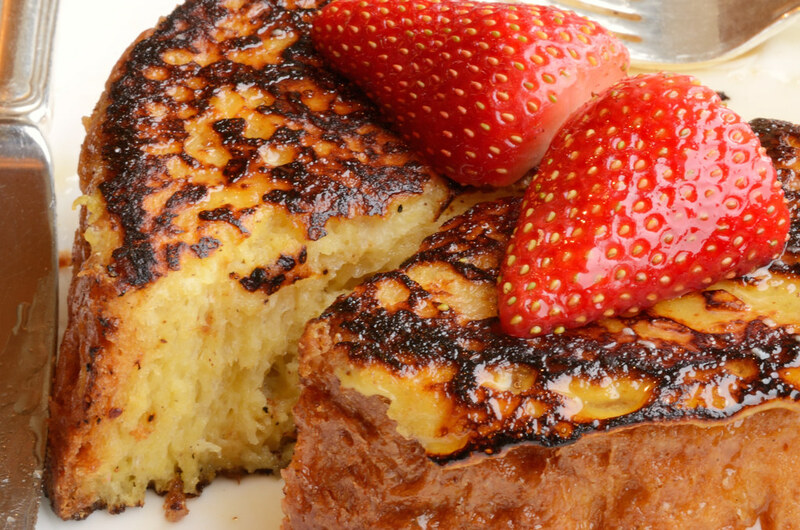 Although La-Brioche is located a little off campus, you may need a French toast kick. In this case, you need to get here! Topped with powdered-sugar and deliciousness is finger-lickin’ good!